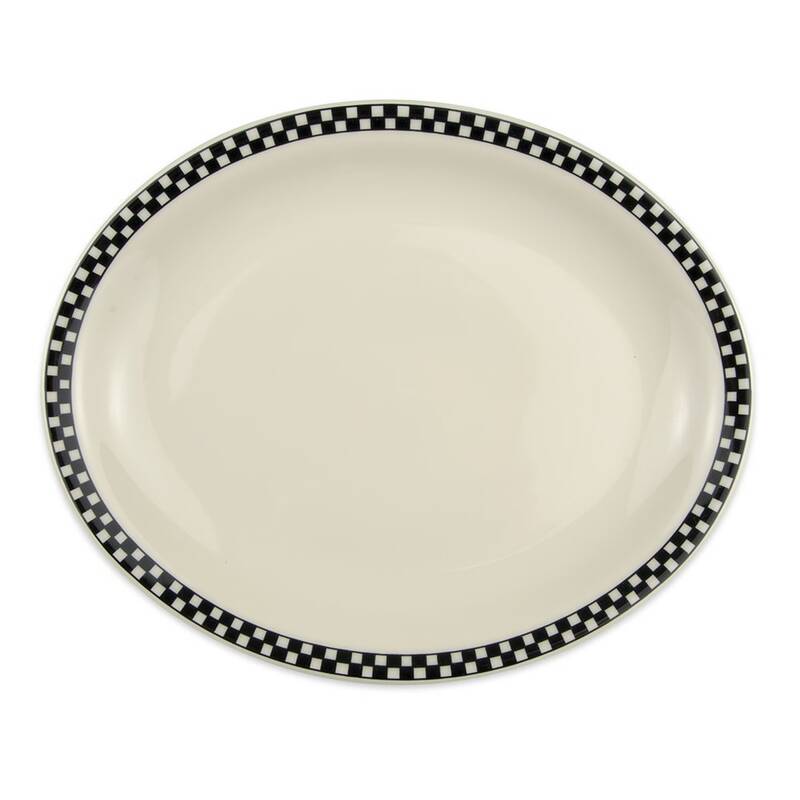 The Homer Laughlin 2621636 oval platter is made of china, making it durable for heavy use in commercial settings. Chipping and scratching are prevented since the dish is constructed from china. With a thin rim, more food can be put on the plate. 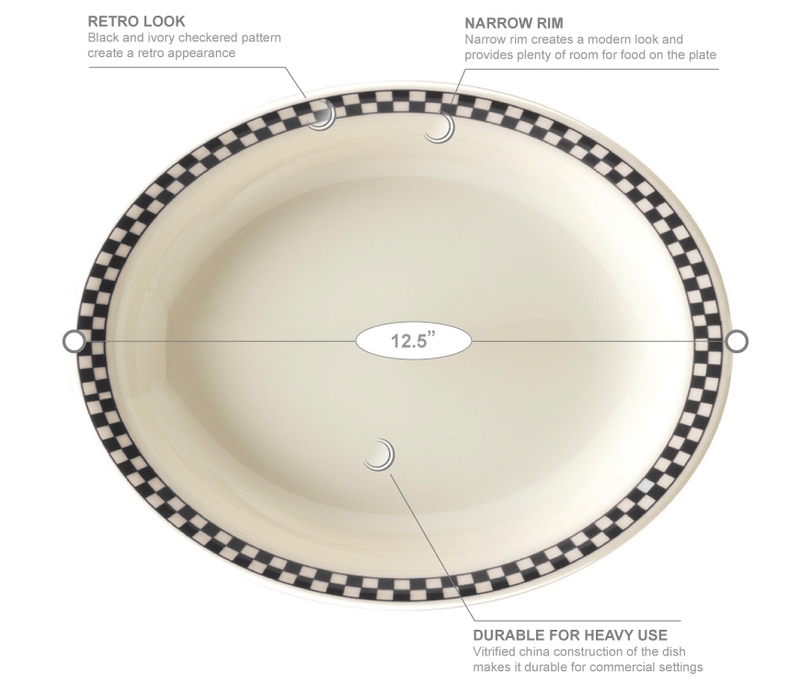 The large oval shape is great for generous portions of food; the dish has a diameter of 121⁄2 inches. 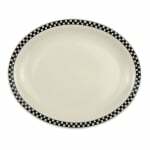 The Homer Laughlin 2621636 oval platter has a retro look since it comes in ivory with black and ivory checkered pattern around the edge.